The site of Her Majesty's Theatre has been used for entertainment purposes at least since about 1880 when it was The Hippadrome, an open air venue for equestrian shows and circuses. In 1886 the Alexandra Theatre opened. From 1891 to 1900 the theatre was renovated and reopened under the name Her Majesty's Theatre. 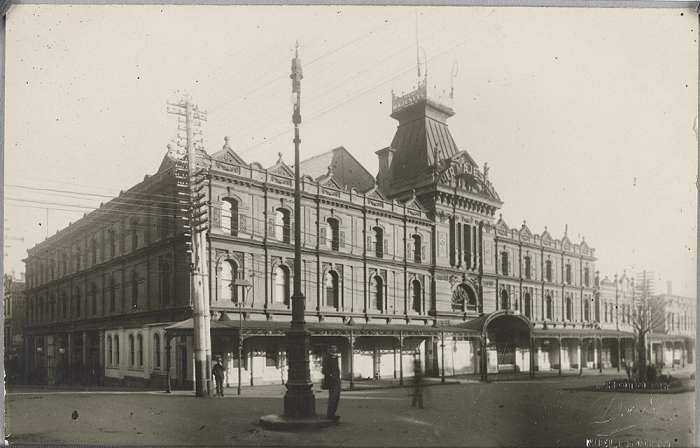 Her Majesty's Theatre, 1914/1941, courtesy State Library Victoria (www.slv.vic.gov.au). Dame Nellie Melba was critical of the acoustics in 1909 resulting in the auditorium and proscenium arch being changed. The auditorium was damaged in a fire on 25 October 1929. It was repaired and updated over the years, and in 1986 it was classified by the National Trust and included on the Victorian Heritage Register.